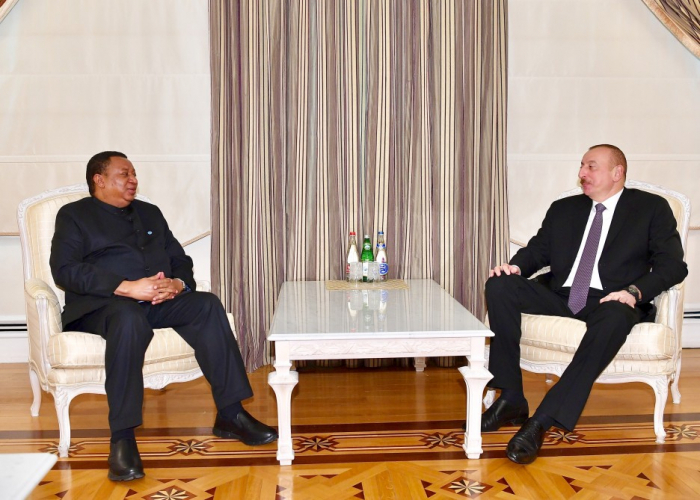 President of the Republic of Azerbaijan Ilham Aliyev has received Secretary General of the Organization of the Petroleum Exporting Countries (OPEC) Mohammad Barkindo. OPEC Secretary General Mohammad Barkindo thanked the head of state for the invitation. Noting that the world's first-ever mechanically drilled oil well was drilled in Baku in 1846, Mohammad Barkindo stressed the importance of the visit of the event participants to Azerbaijan. He underlined that President Ilham Aliyev is the first head of state to initiate a meeting in the format of OPEC+. Mohammad Barkindo recalled that it was initiated by President Ilham Aliyev three years ago in Davos. Emphasizing that this initiative has already become a reality, Mohammad Barkindo praised President Ilham Aliyev`s views and leadership in this work. He pointed out that Azerbaijan has been actively involved in these processes since the first day of cooperation in the OPEC+ format.